Car accidents can happen in a variety of ways. There’s the rear-end at the traffic light, the person who blows through a stop sign, the vehicle crossing traffic at a blind hill, and the driver who didn’t check their blind spot and either hits your car or runs you off the road! And of course, none of those situations take into account accidents that occur because of mechanical failure. In the best scenario, paint scratching occurs and little else. But car accidents usually involve serious damage and often bodily injury as well. You’re looking at repairs and medical bills, time off work, and rental cars. Ideally, both parties have insurance and the insurance companies are cooperative in sending a check for damages. But that’s not always the case, and when you add an injury into the accident, it gets more complicated. 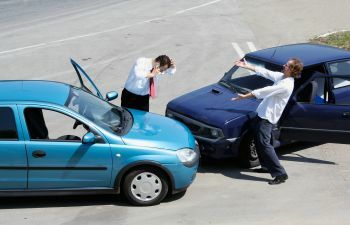 What will you do if you’ve been injured in an accident and the other guy’s insurance won’t pay? Worse yet, what if he has no insurance, and you have to make a claim on your own policy? Boudreaux Law Firm will stand in your corner with you to get the resolution you need. Unfortunately, insurance companies sometimes need more than the threat of action before they will settle a claim. The team at Boudreaux Law Firm will manage your case in the courts to help you get payment and reimbursement for your medical costs and property loss. If you’re in the position where you need assistance with your automobile accident settlement, contact the Boudreaux Law Firm of Augusta, Georgia!